Could You Have a Dram Shop or Social Host Claim for Compensation for Injuries Caused in an Auto Accident? If a drunk driver caused your car accident, you could suffer long-term injuries, such as back and neck injuries, spinal cord injuries, paralysis, traumatic brain injury, or internal organ damage. The drunk driver would be primarily responsible for compensating you for your injuries, and you should file a claim with his insurance company. However, he may not have sufficient insurance coverage to pay you all the compensation you deserve for your expensive medical treatments and lost wages during the months that you could not work. 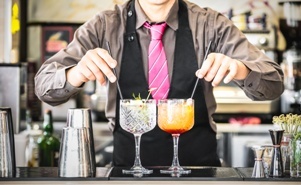 Georgia’s Dram Shop and Social Host laws could give you the right to pursue claims against additional parties as well as the negligent driver. What Is Georgia’s Dram Shop Law? Who Can File a Dram Shop Action Claim? What Is Georgia’s Social Host Law? The same law that allows auto accident victims to pursue claims for compensation against the seller of alcohol allows them to pursue a claim against a social host who serves a minor or intoxicated person alcohol who then causes a wreck. The same proof requirements as in dram shop cases apply to social host claims, namely that the alcohol was served to a minor or visibly intoxicated person and the social host knew he would be driving soon. In addition, the drunk driver, his family, or parents of minor who was served alcohol would not be not entitled to compensation. Proving a claim against a dram shop owner or social host can be extremely complex. For example, it can be challenging to prove that the drunk driver was sold or served alcohol when he was visibly impaired or that the seller or social host knew that the intoxicated person would be driving soon. Let our experienced car accident attorneys help you hold the dram shop owner or social host accountable for their actions in selling alcohol to the drunk driver who caused your accident. Contact us online or call us directly at 888.795.6261 to schedule a free consultation. We will discuss your legal options and the next steps you need to take to pursue your claim for compensation.